Get even more CASH for these Top Traded CDs by artists playing at festivals this year – LIMITED TIME ONLY! For a limited time only*, we’re paying even more CASH for these top traded CDs by artists who’ve played – or are going to play – festivals this year. So if you’ve got the post-festival blues or need a bit of extra spending money, see if any of the CDs you own are in our list below and get an instant price now! 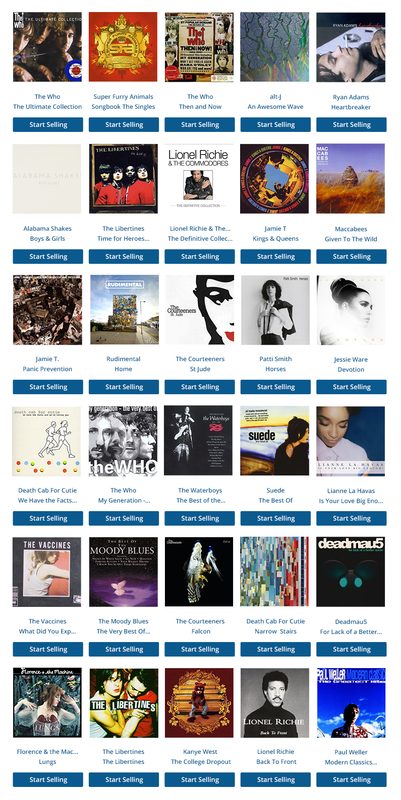 Selling CDs with musicMagpie is surprisingly easy! Remember: you can also sell DVDs, Games, Blu-Rays and Electronics – including mobile phones, games consoles and tablets! Click the button below to get an instant price for your stuff. *increased price offers for the CDs in this post are valid until Sunday 26th July 2015. ← What will people of the future think of today’s biggest musicians?